THE OFFICE OF ACADEMIC PROMOTION AND REGISTRATION IS SUPPORT UNIT COORDINATING AND PROVIDING MANAGEMENT EDUCATION SYSTEM EFFECTIVE. 1. PROMOTE AND SUPPORT THE PRODUCTION OF QUALITY GRADUATES. 2. AIM TO PROVIDE EDUCATIONAL SERVICES EFFECTIVELY. 4. ENHANCING LOCAL EDUCATIONAL OPPORTUNITIES. The Office of Academic Promotion and Registration Workshop on knowledge sharing on cooperative education for enterprises in the service area of Kamphaengphet Rajabhat University on April 23, 2018. At Kasalong Conference Room, 2nd Floor, Teakorn Rasamechote Building in Kamphaengphet Rajabhat University. March 30, 2018 at 9.00 am at the Conference Room, 1st Floor, Faculty of Management Science Kamphaengphet Rajabhat University Get regular student report. Bachelor Degree 1/2 Course with Portfolio Portfolio of Academic Year, 2018. The Office of Academic Promotion and Registration Organize training workshop. Preparing students for co-operative education, 9 courses of behavior, 9 successes, and 1 student coeducation were attended by about 65 participants. The participants were Mr. Boonruang Sunthornsawalakul and Mr. Suthat Phin-in. The ceremony was held from February 23 to 24, 2018 at Leelawadee Room, 2nd Floor, Tungkorn Rasamechote Building in Kamphaengphet Rajabhat University. The Office of Academic Promotion and Registration The 14th Rajabhat Exhibition "Creating Educational Opportunity For the local development "January 25 - 26, 2018 by Associate Professor Suwit Wongboon, President presided over the opening ceremony. The Director of the Secondary Education Area Director of the School Heads of government agencies and administrators of Kamphaeng Phet Rajabhat University attended the opening ceremony. The Office of Academic Promotion and Registration Rajamangala University of Technology Phra Nakhon Regular student report Round 1 of portfolio on January 6, 2018 at the Auditorium in KPRU. The Office of Academic Promotion and Registration Workshop The seminar will be held on December 27, 2016 from 13.00 - 16.30 hrs. At Leelawadee Room, 2nd floor, Tepungkorn Rasamee Chot. 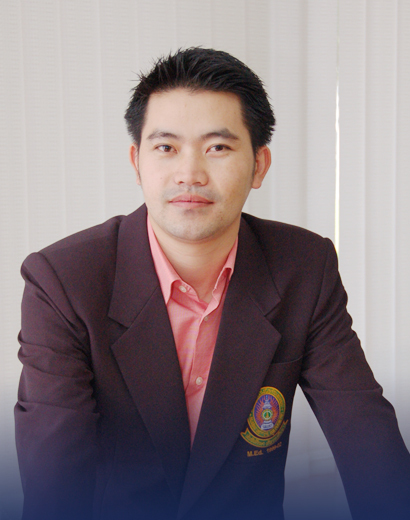 The lecturer will be Assoc Prof. Suwit Wongboonmark The President is the initiator of the project and Dr. Surachet Tummee is the reporter.